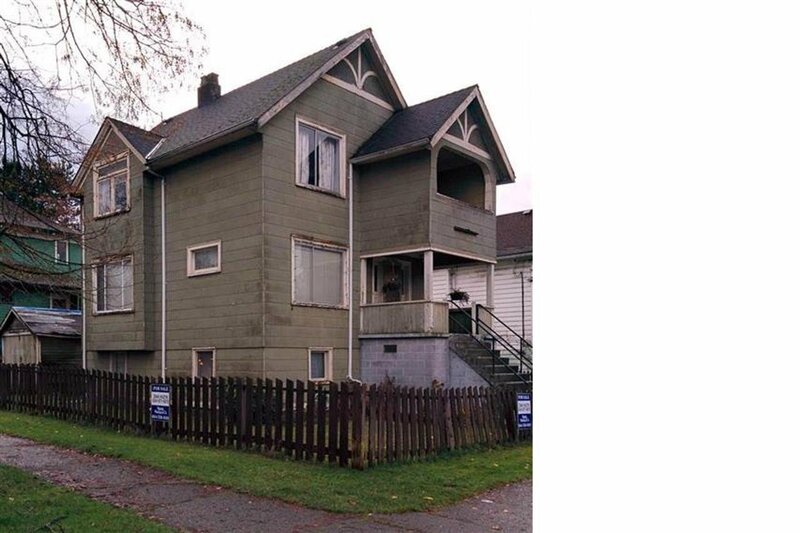 1986 E Pender Street, Vancouver - 3 beds, 2 baths - For Sale | Melissa Wu - Maxcel Westcoast Realty Ltd.
Builders or renovators - your opportunity? Tired Grandview home on a nice corner lot. RS-7 zoned. On a quiet, boulevarded portion of Pender, with neighbourhood traffic calming. Very close to elem. & sec. schools, public transit, shops. Some character touches remain. Updates from 50's or 60's. Upper level is actually self-contained (but not rented), with covered verandah. Partial north mountain view therefrom. Property to be sold "as is". All measurements are approximate; to be verified by purchaser if important. Entry and exit premises by front stairs and door only . Do not enter garage - poor condition and possible hazard.